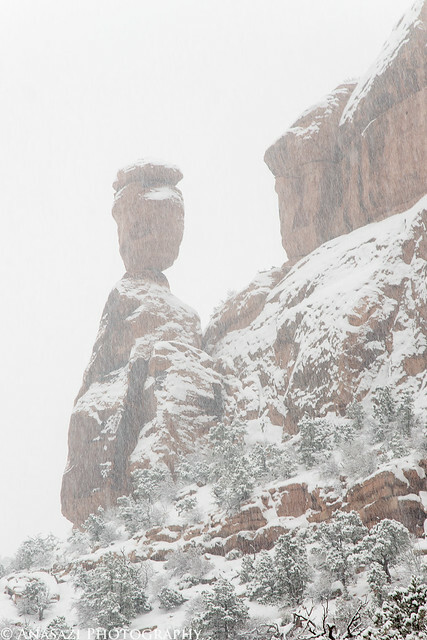 As I drove up the snow-covered switchbacks, I had to pull over and stop for a photo of Balance Rock in the snow. 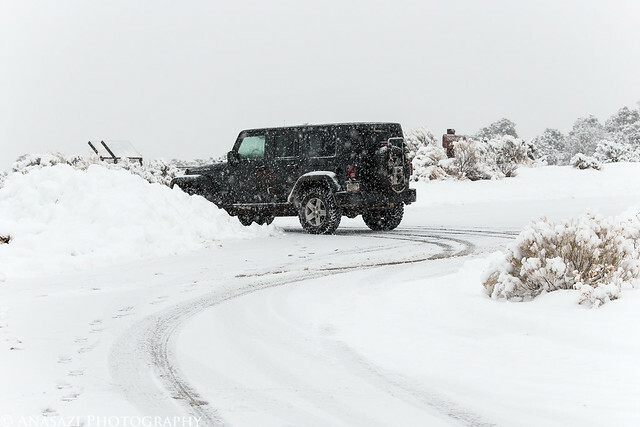 My first stop was at the Independence Monument Viewpoint. 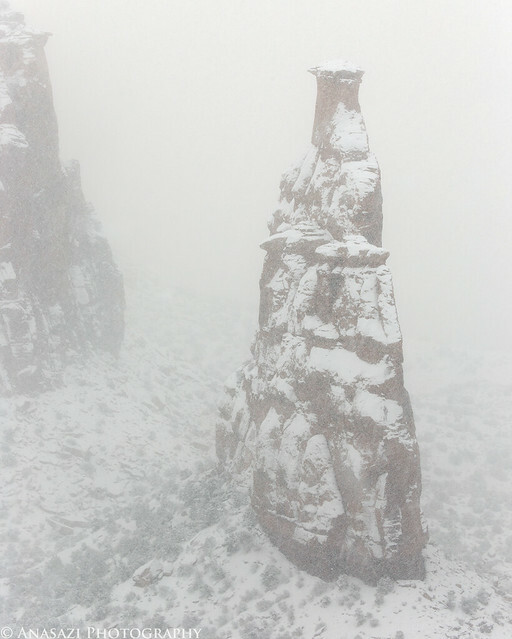 Independence Monument in the snow. This weekend I decided to stay home for a change. 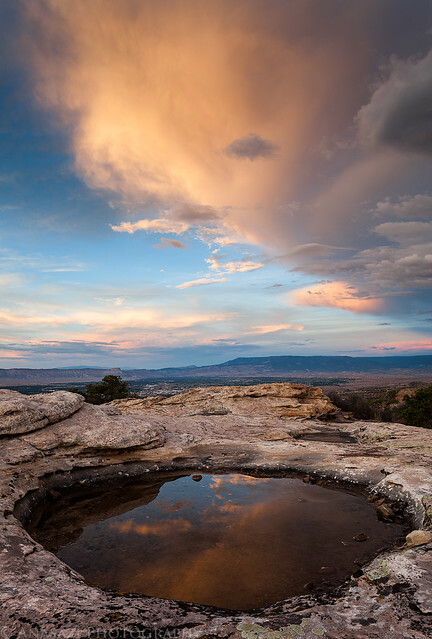 I figured that I could spend some quality time photographing the Colorado National Monument since I would be around. 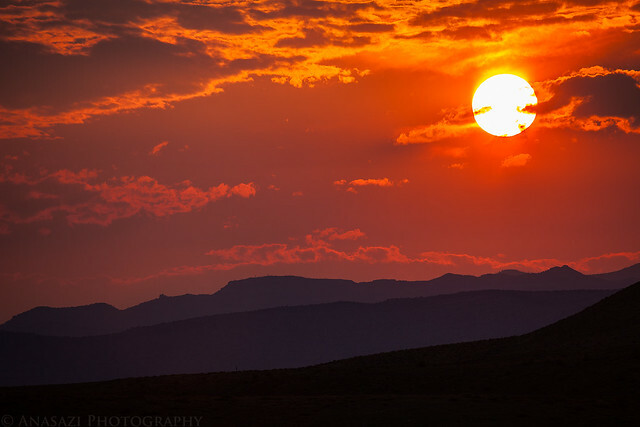 After work on Friday, I drove up to the Monument to try and catch a sunset that looked promising. It turned out to be a decent sunset, but not over the Monument. 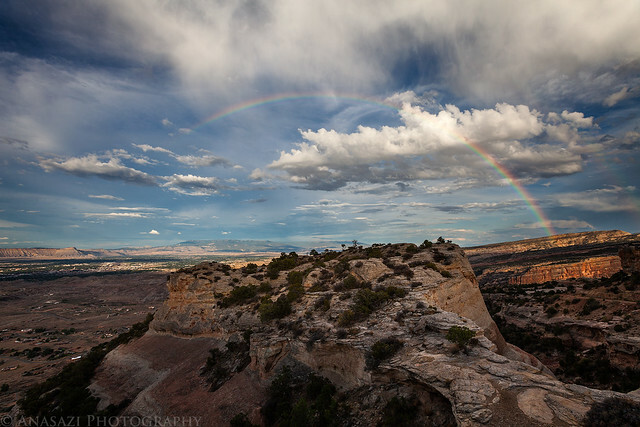 Instead, it was colorful over the Book Cliffs across the valley. A portion of the Book Cliffs across the valley turns pink. The following morning I was up at the Monument again. This time I was there well before the sun came up so I could try and catch the glow that sometimes happens 15-20 minutes before sunrise. Before the sunrise the monoliths lit up with the glow I was hoping for. 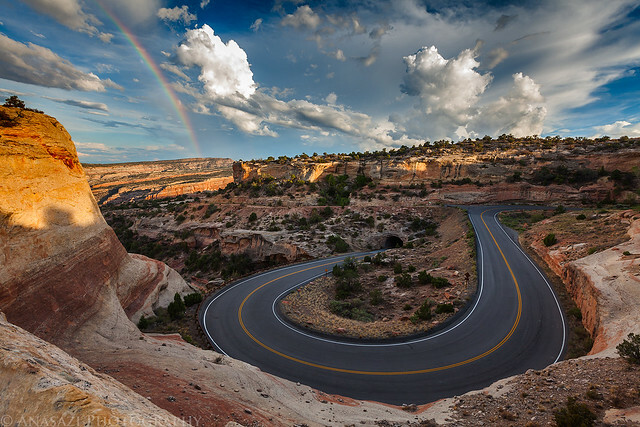 This is a view down Wedding Canyon towards Fruita. The early morning glow lights up The Island. Just a few short days after returning from my adventures in Northern Arizona and Southern Utah, I was ready to get and photograph some of the fall colors here in the Grand Valley. 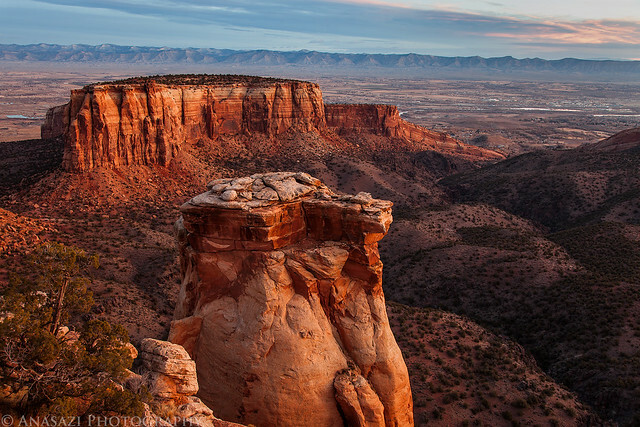 I ended up driving up to the Colorado National Monument two consecutive days after work to take a few photos. 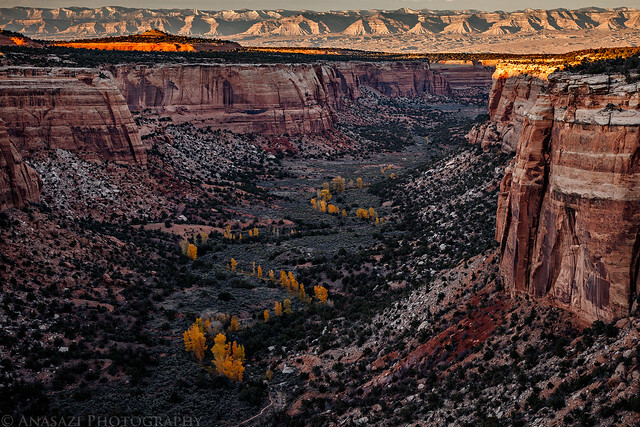 I first went over to Ute Canyon to see the cottonwood trees along the stream in the bottom. 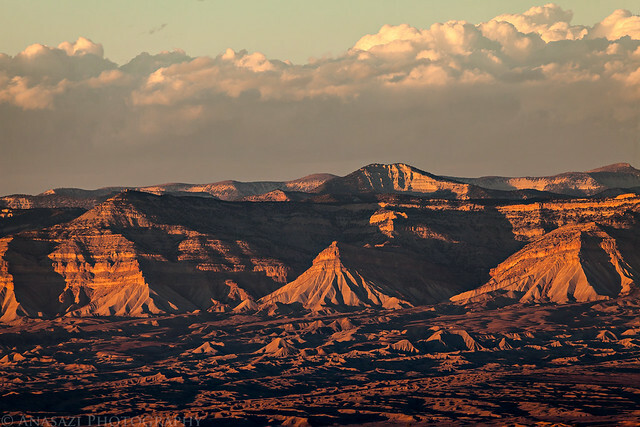 The canyon was already in the shadows, but the top of the mesa and the Book Cliffs were still receiving direct sunlight. 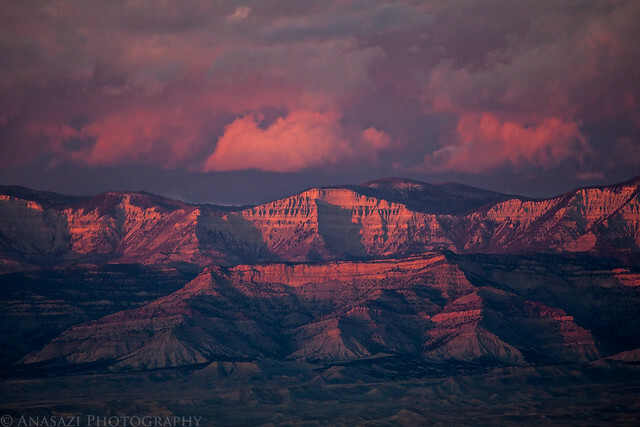 The Book Cliffs across the Grand Valley near sunset. 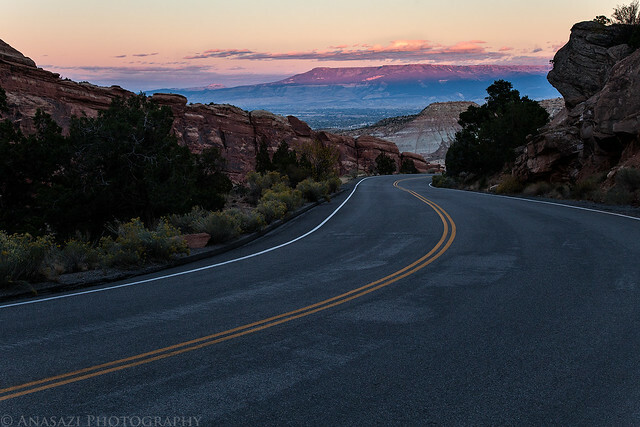 The Grand Mesa in the distance glows pink beyond Rim Rock Drive. 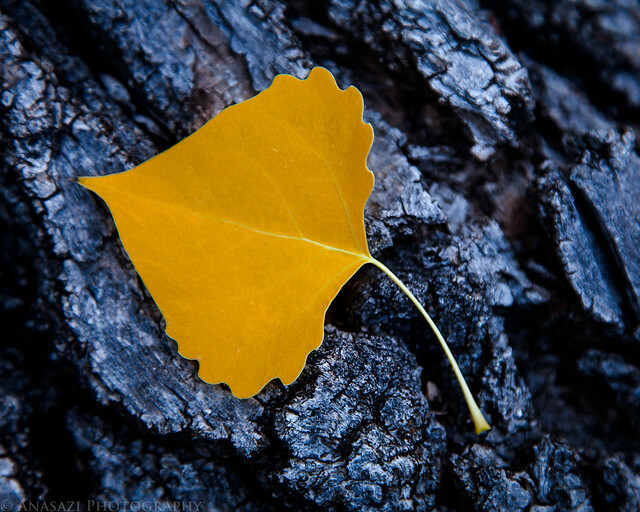 A lone yellow leaf on the bark of a large cottonwood tree. 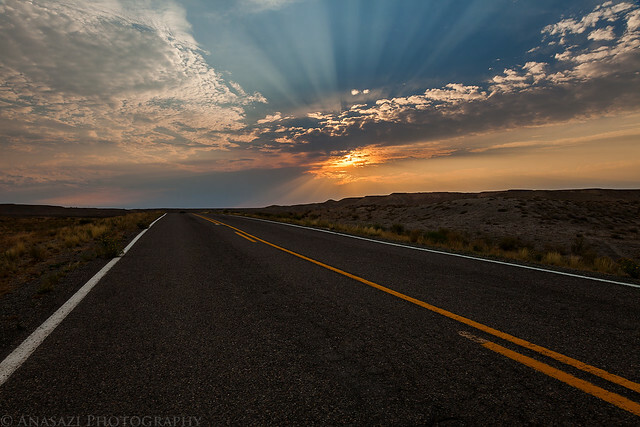 Sun rays radiate out from behind the clouds along the old highway in Colorado. 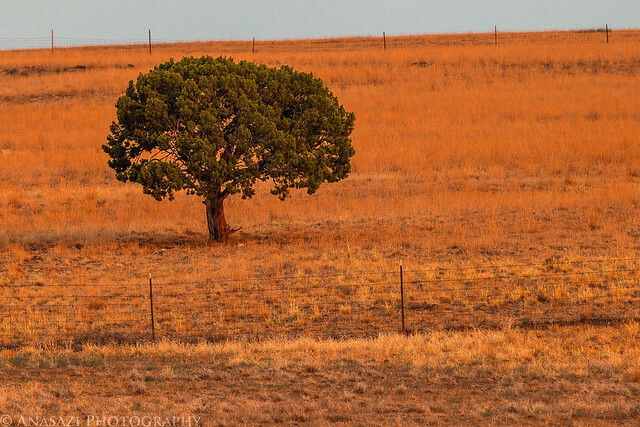 I liked the way this lone tree contrasted with the yellowish grasses around it. I could have tried cleaning up the noise in this photo, but I kind of like the way it looks as is. 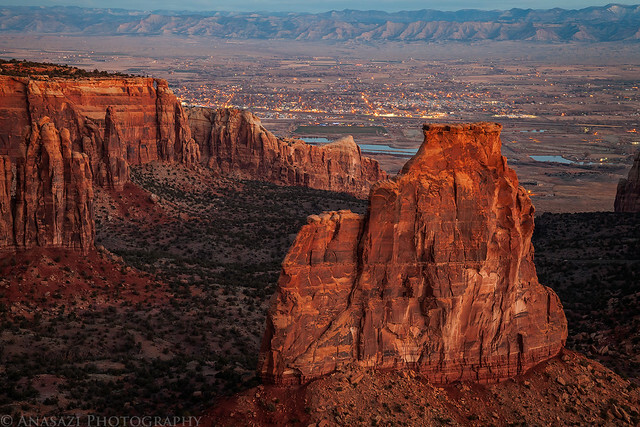 The sun get closer to setting over the Book Cliffs in Utah. Smoke in the sky helps add color to the scene. 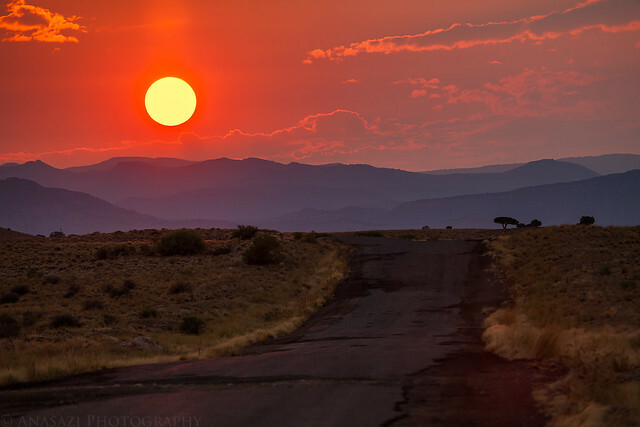 A lonely and neglected road leads toward the Book Cliffs and the setting sun.